Unfortunately access with cards such as Priority Pass, DragonPass, Lounge Club etc is subject to availability upon arrival at the lounge on the day and prebooking using these cards is not possible. Children aged 0-23 months enter Escape Lounge for free (please note, the 1903 lounge is adults only). Please call free on 0808 169 7031 to make us aware if you are bringing children aged 0-23 months. 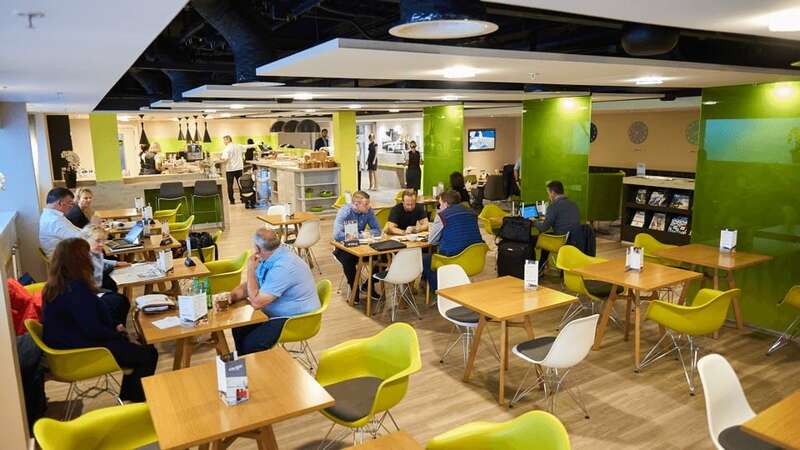 Groups (over 6 for Escape Lounge or over 4 for 1903) wishing to use the lounge facilities must receive prior authorisation from the lounge before booking. Should you wish to make a group booking, please telephone 0808 169 7031, between 9am & 6pm daily (calls are free from landlines and mobiles). We are unable to guarantee that groups will be seated together. 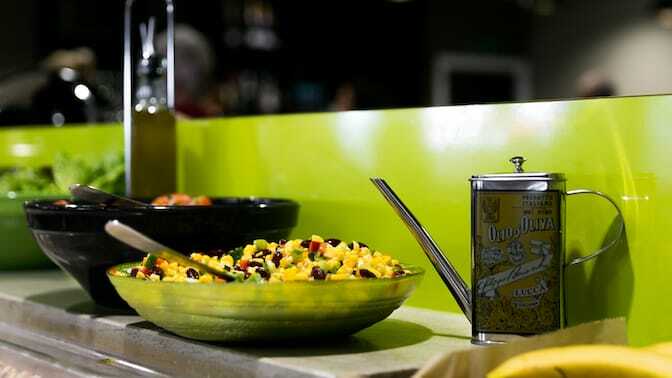 A selection of complimentary hot and cold food, as well as a wide range of drinks. 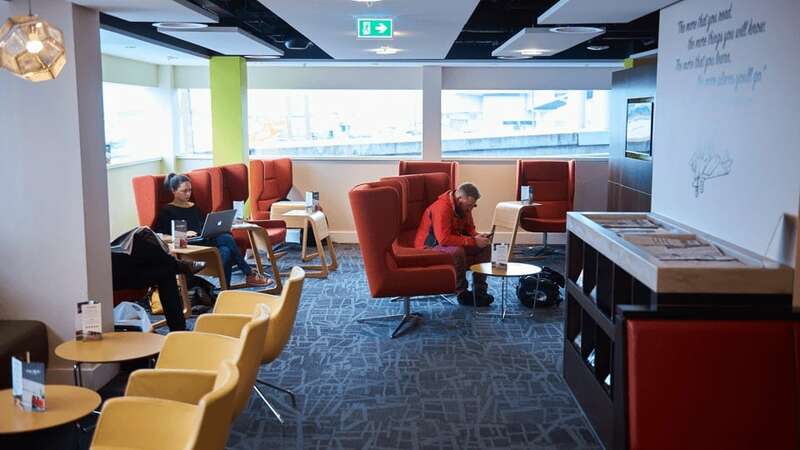 Enjoy free WiFi, printing, scanning, charging points, newspapers, magazines and TVs. Take some time out with a book, catch up on news or simply sit back and relax. Groups of six or more must receive prior authorisation from the lounge before booking. 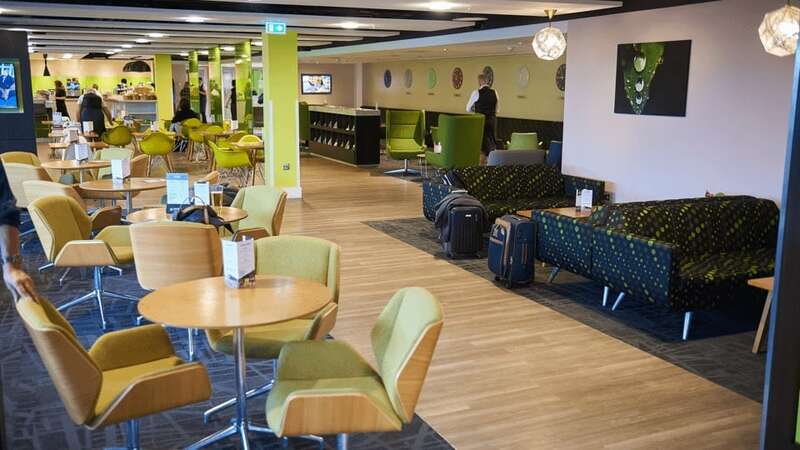 The Escape Lounge is located in the main departure lounge. Proceed through security checks and the duty-free area. The entrance to the lounge is located between Coast to Coast and Pret a Manger. 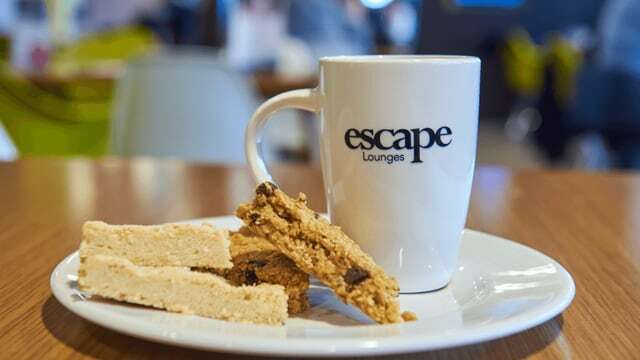 Away from the hustle and bustle of the terminal, Escape offers a place to take some time out before your flight. 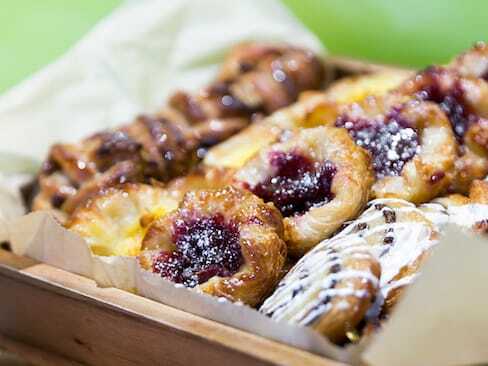 Enjoy some of the delicious food and drink we have available for you. *Champagne not included. Available for purchase in Lounge. 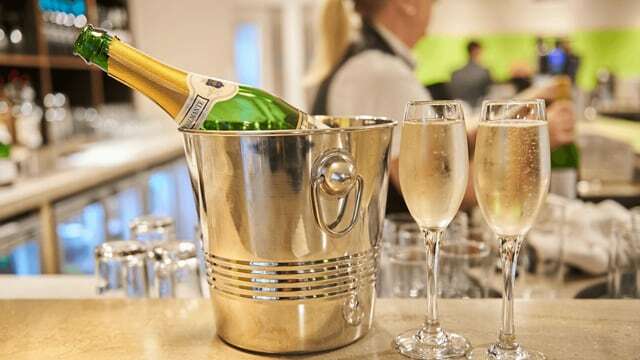 Our complimentary bar is well stocked with drinks such as wines, beer and spirits, alongside Twinings tea, coffee, soft drinks and fresh fruit juices. Champagne is available to purchase if you fancy an extra treat. Who can use the Escape Lounge? We welcome passengers travelling on business or pleasure from any airline and any ticket class. 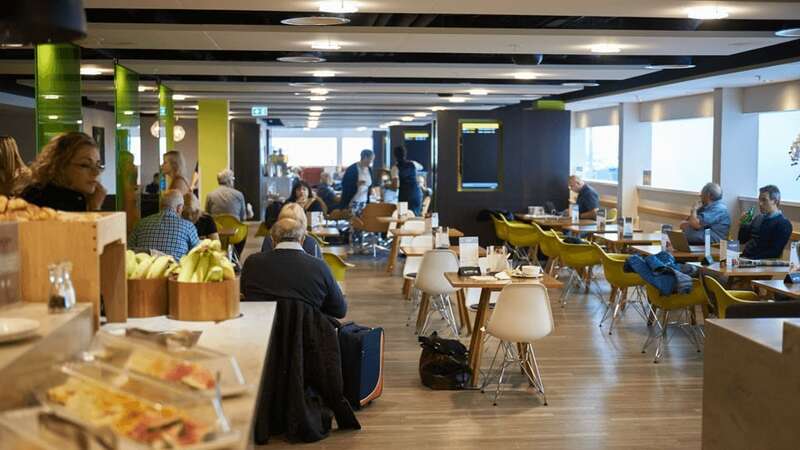 We also accept passengers from DragonPass, Diners Club, Holiday Extras, Lounge Pass, Lounge Club, Lounge Key and Priority Pass – with access to each of our airport lounges subject to availability on the day of arrival. If you are travelling in business class, please check with your airline for details. 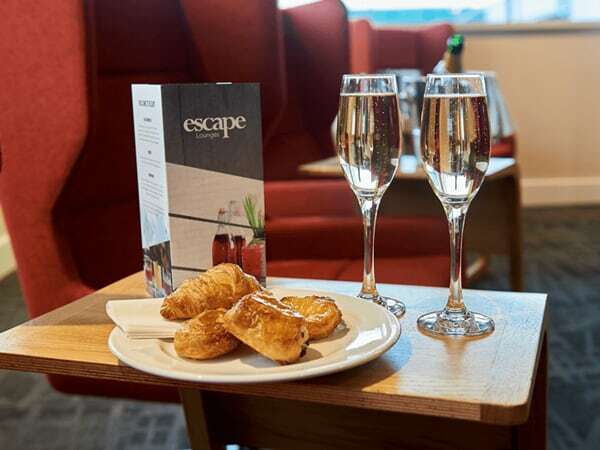 Your booking entitles you to a single visit in the Escape Lounge of up to three hours, starting from the booked time of arrival at the Lounge. We welcome well-behaved children in the Escape Lounge; those aged 24 months and older are required to pay the standard entry price. Children aged 0-23 months are permitted to enter for free, however we must be made aware of all infants in your party otherwise they may not be admitted. Whilst we welcome well-behaved children to the lounge, this is a quiet, adult environment and we do not provide specific entertainment for children. Is the lounge wheelchair friendly? Yes, our Escape lounge is accessible for wheelchair users. Are groups welcome in the lounge? Groups numbering over six wishing to use the lounge facilities must receive prior authorisation from the lounge before booking. Should you wish to make a booking for more than six passengers, please telephone 0808 169 7031, between 9am & 6pm daily. We are unable to guarantee that groups will be seated together. Can I give feedback about the lounge? It’s very simple! Collect 6 stamps and we will send you a code to get your 7th visit absolutely free. Do you cater for Gluten Free and Vegan diets? We provide a range of vegan and gluten free food in our lounges as standard, all labelled appropriately.